Daryl Johnson (Worcester Park, United Kingdom) on 21 February 2008 in Architecture and Portfolio. Dramatic pov. This is a beautiful place. The architecture is superb. Excellent. Dramatic angle. And processing too. Very beautiful! A wonderful graphic highkey image.....great treatment in processing it like that! Very intricate stone masonary, nice angle! 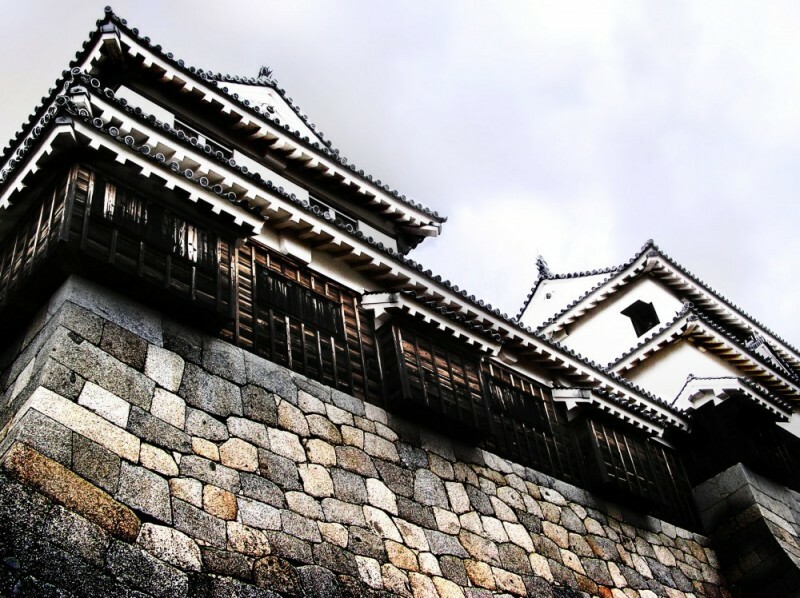 This reminds me of the castle in The Twilight Samurai. nice shot. cool perspective and tones. Beautiful angle and great architecture! Wonderful, wonderful presentation!! !I love it!! !